Hyderabad, Jan 18: Senior Telangana Rashtra Samithi leader and former agriculture minister Pocharam Srinivas Reddy today unanimously nominated for the post of Telangana Assembly Speaker. 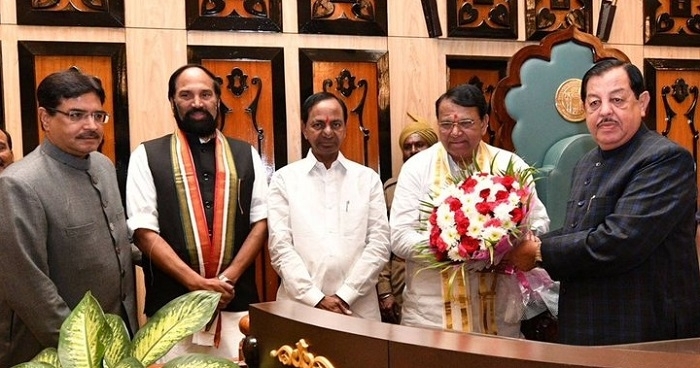 Chief Minister K Chandrashekar Rao proposed the name of Six-time lawmaker and TRS Working President KT Rama Rao along with Congress and MIM lawmakers supported his candidature. A former TDP member, Reddy was born on February 10, 1950. In 2011 the veteran tendered resignation from TDP and joined K Chandrashekar Rao’s Telangana Rashtra Samithi. Pocharam Srinivas Reddy represents Banswada assembly segment from Nizamabad district.